The group then rode part of the Stillwater Multi-use Trail and visited the historic XO Tower in Mechanicville, a switching tower from a time when this city had the third largest railroad yard in the U.S. Arriving in downtown Mechanicville for lunch, where the city had closed a block of Park Avenue for bicycle parking, cyclists were greeted by Supervisor Tom Richardson. Nearby Faldoni’s Deli was ready with a “welcome cyclists” sign and colorful balloons outside. During the lunch stop, many riders took advantage of an optional side trip to the Hudson View Cemetery on a hill above the city, site of the grave of and a monument to Col. Elmer Ellsworth, the first Union officer killed in the Civil War and a friend of Abraham Lincoln. 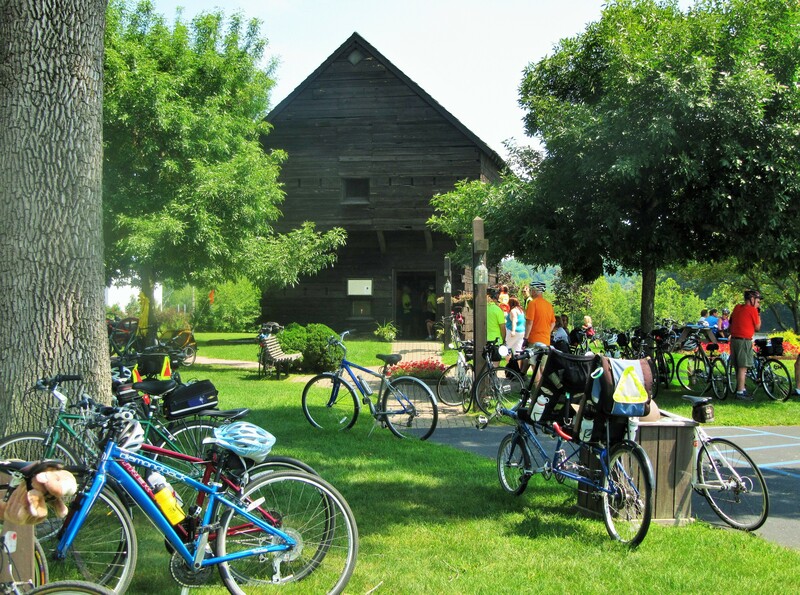 From there, the tour headed back north with a stop at the Blockhouse in Stillwater, where the cyclists received an informative tour and a brief off-road trail break at the existing Champlain Canalway Trail segment off Wilbur Road before continuing past the Gerald B.H. Solomon Saratoga National Cemetery and returning to the starting point via Rt. 32. The total distance covered was about 27 miles and everyone was still smiling on their return! 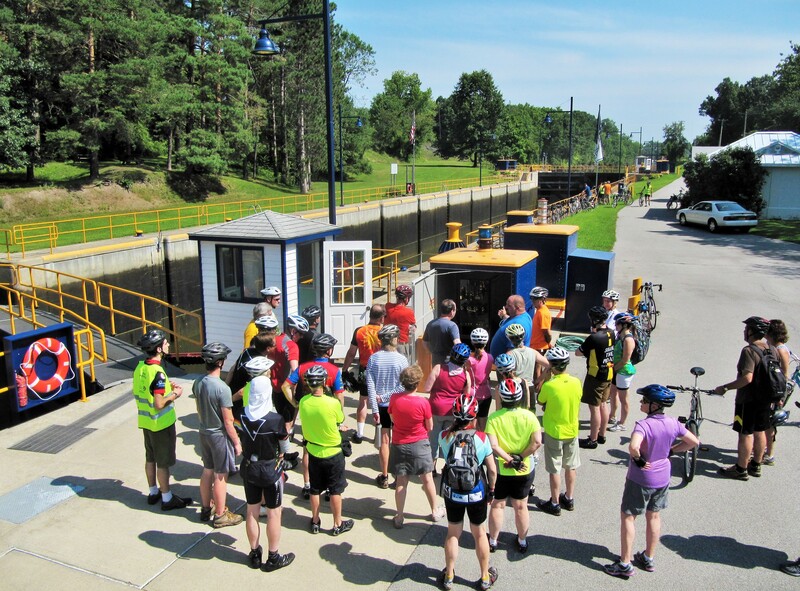 This year’s tour was funded in part by a grant from the Erie Canalway National Heritage Corridor. 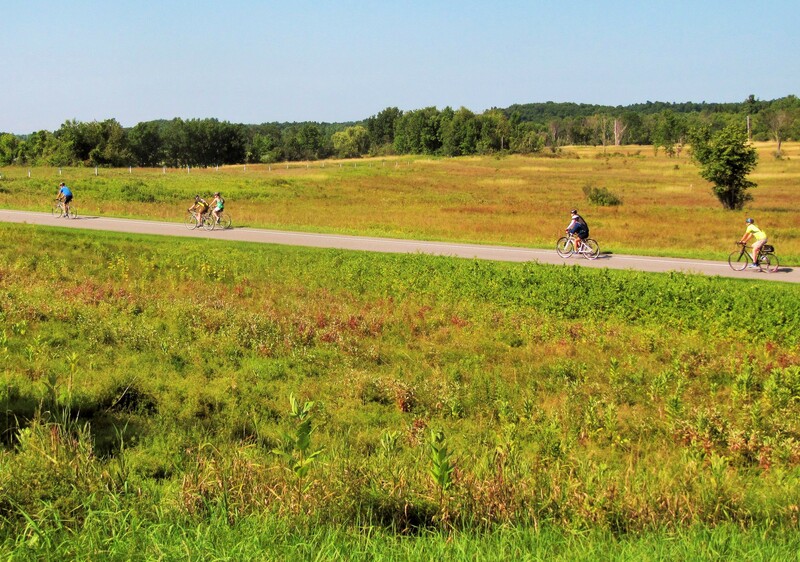 Its success resulted from the efforts of countless individuals and organizations, but special thanks go to the Mohawk Hudson Cycling Club and Broadway Bicycle Company of Albany for their logistical support.